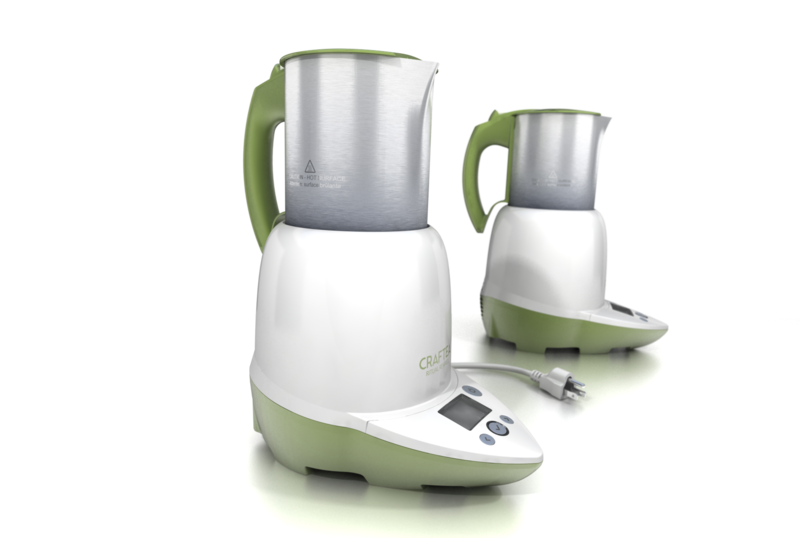 Chai Master and stimulo partnered to design Craftea: the ultimate tea maker which makes chai brewing convenient, consistent and enjoyable. One ordinary morning a master kitchen multitasker turned her attention away from breakfast and chai preparation for just a moment. Chai had won again. Smoke arose from the stovetop, burning tea leaves, herbs, spices and milk. From that day Jitu, an American entrepreneur, had a new challenge: designing a tea maker that could prepare chai without letting it boil over. Chai Master contacted a German manufacturer who took the concept and developed the technology to make the brewing process extremely convenient and safe. In order to improve the user experience and the aesthetics, stimulo analysed the sequence of use with several users. The research revealed that even if Craftea prepared several kinds of tea, users wanted to centralize all its different functions into an intuitive and compact control panel. The result is a user-friendly interface designed to easy understand the step-by-step instrucions. Inspired by a tea leaf, stimulo shaped the most convenient device to prepare a perfect cup of tea. Our team in China worked side by side with the German manufacturer in Shenzhen. This substantially speeded up the project and made communications smoother. Stimulo did an excellent job of listening, researching and finally delivering an award winning design for our CRAFTEA, Ultimate Tea and Chai maker. Their team of professionals refined the design in conjunction with the manufacturer until all parties were absolutely satisfied. This is a clear case of Win – Win – Win for all. Stimulo will definitely be designing our next generation of products.